Bits or pieces? : Looking at Amazon and Lumberyard a bit more. 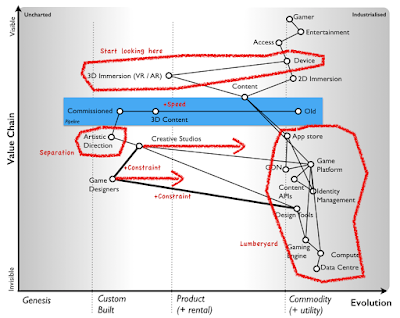 Last time I wrote about Amazon and gaming and since that post Phil Trease produced a very nice map on Lumberyard which I've blatantly stolen and added here. Now the beauty of a map, is that I can challenge it e.g. the assumptions made, the components used. I also happened to listen to @Cheeseplus provide some very useful commentary. So, I decided to have a bash myself and redo that map. 1) the user need really should start with entertainment which of course needs access to a means of providing it. 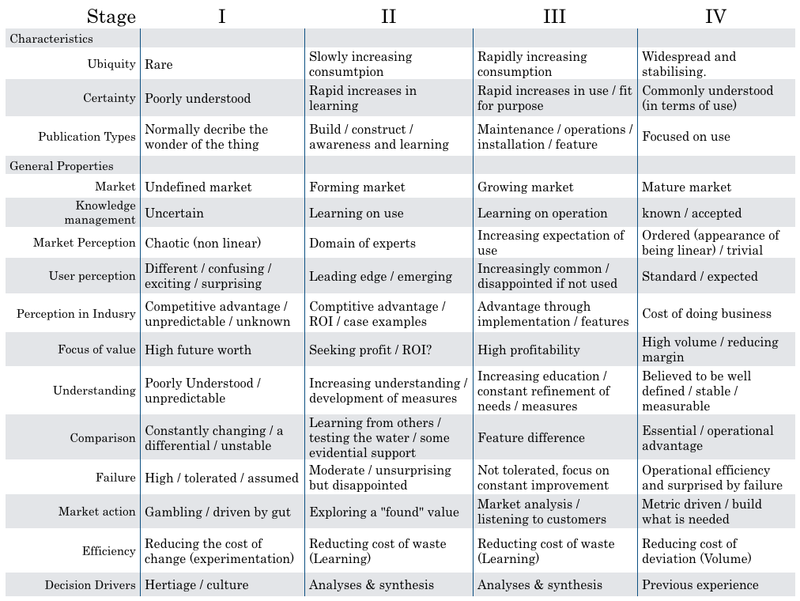 2) content is actually a pipeline from the brand new and commissioned games to the somewhat tired and older titles. 3) many of the items seem more commodity than displayed on the map above, so I've used my cheat sheet to determined how evolved the components are. 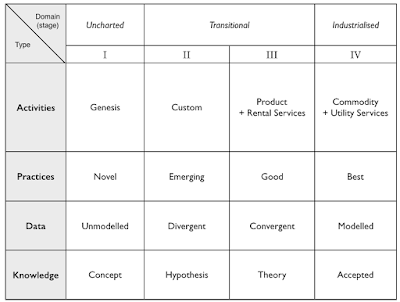 Figure 2 - Evolution by Type. So, I've now created two maps. My pre-Lumberyard map and my post-Lumberyard map. Lets go through each. 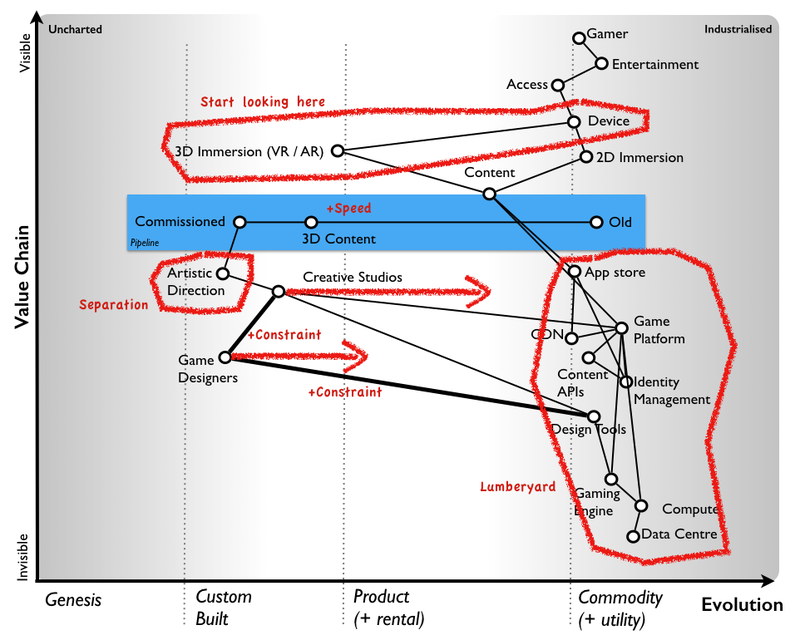 In this map, access to entertainment is provided through the device and there are two main forms either immersive 2D (including 3D like experience though a 2D screen) and 3D immersive (e.g. VR / AR). 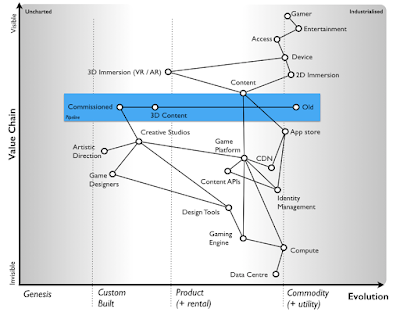 This obviously depends upon content and there's a pipeline (in blue for this) on which I've guessed where most 3D content is (approaching useful products but still mostly under development). Now content requires a delivery mechanism (e.g. App Store and a gaming platform) and also commissioned games require someone to commission and build them e.g. a Creative Games Studio. 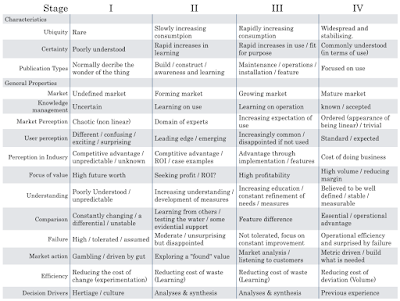 I've then marked on a whole bunch of underlying components. Do remember, the amount of experience that I have in the gaming world is zero hours. This map is from a complete outsiders view, derived from Trease's map and it took about 30 minutes. So lets modify the map by moving pieces to represent where I think Lumberyard is taking it (see figure 5). So, a couple of points to note with this map. 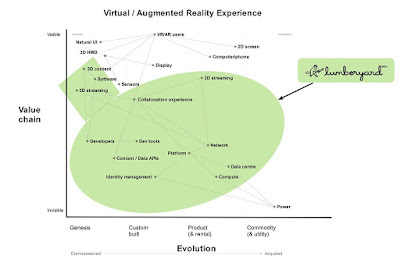 First, in the bottom right hand corner you have all those components related to gaming (i.e. design tools, gaming engine, environment) being industrialised to more commodity components by Lumberyard. I talked about this extensively in the last post with endless mocking words of encouragement for Gaming CEOs. But there are some other potential impacts here. 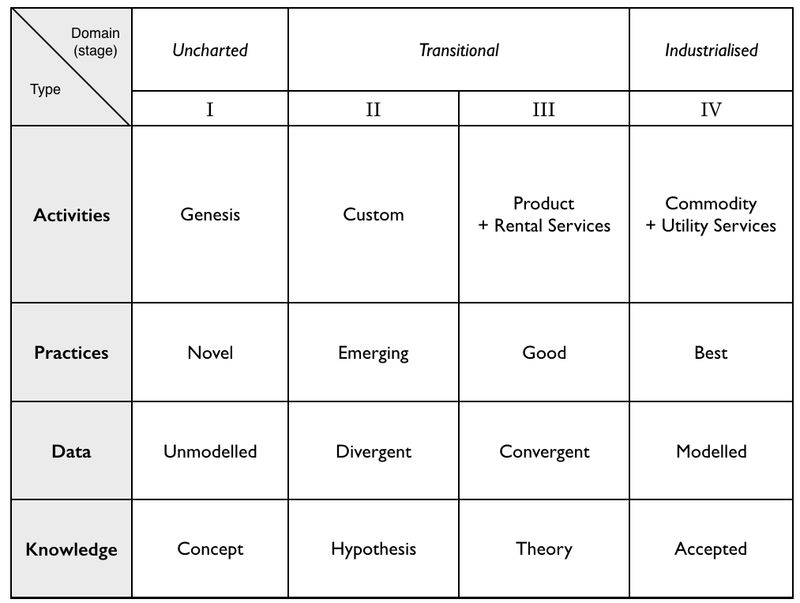 From the map above, I've displayed creative studios as having constraints (e.g. 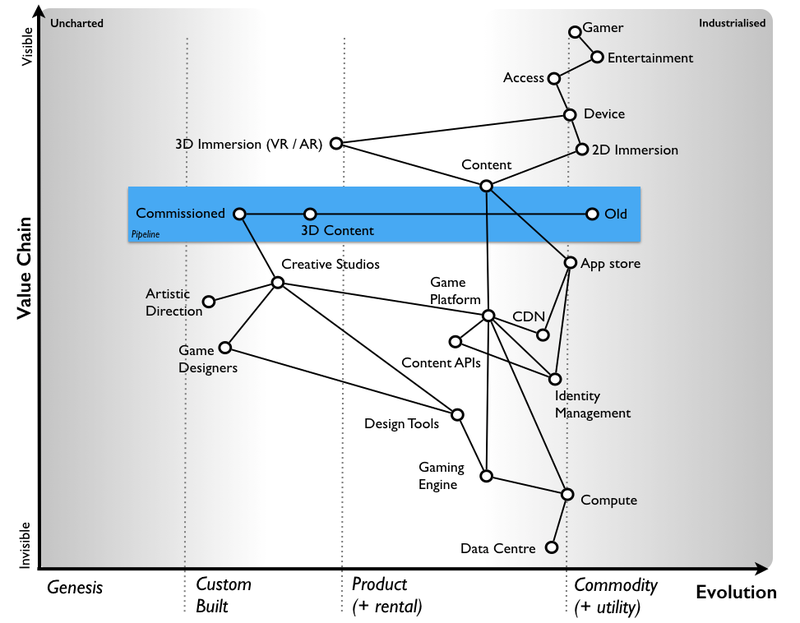 access to good designers and access to the components needed to build big games). By industrialising these components then you're likely to see both more game designers and creative studios as the barriers to entry tumble. Hence you're also likely to see a much faster throughput of game in the pipeline. So, it's not just companies involved in game components that'll take a hit but those big name studios will. Of course, in the early days those creative studios will probably support Lumberyard as a way of reducing cost, almost oblivious to the impact that by doing so they will increase competition in their own market. This is what we call Fool's mate and it's surprisingly effective and easy to use. It relies on competing CEOs being blind as a bat caught unaware by random change. Of course, if studios weaken due to reduced barriers to entry then the reason why people will want to work for a studio will not be because it has access to kit but because other "great" designers work there. So, these changes would likely lead to even more superstar game designers (just in case they weren't already) along with superstar teams and less emphasis on the creative studio. Another impact could well be the separation of artistic direction from creative studios. This may already be happening, I wouldn't know as I don't know anything about gaming and I'm simply basing this on a map which is probably wrong because I don't work in the industry. However, in this speculated environment then commissioning and artistic direction is provided by the channel (e.g. the app store owner) and creative studios are simply commissioned to provide work. The app store literally becomes the gaming "channel". So between superstar designers, artistic direction set by the channels and increased competition then big name studios might find they are in for a rough ride. Of course, all the time Amazon could be mining meta-data to find new things developers and consumers find useful under the old ILC model which means you have two Hopes - Bob and No - and Bob has left town. 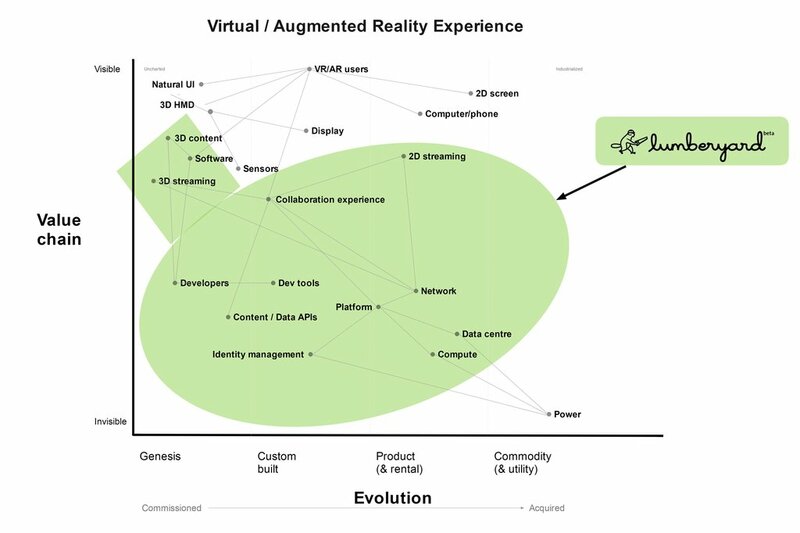 Finally, under the map a big area to watch is in the 3D immersive (AR/VR) space. With more content being produced, more designers, a change to commissioning models, weaker creative studios then control is about the app market and hence also the device. So, don't be surprised if later on Amazon makes a play into this space as well. Is this correct? Well, I know nothing about gaming and I spent 30 minutes on the map. So, no this is not right. I'd expect someone with experience of gaming to be able to quickly make the map better. Do gaming companies have maps? Well, given gamers have been using maps and advanced forms of strategic play for a long time then you'd hope someone in the executive suite has gone - "Oh, that's a good idea". Chances are they haven't which is why they'll be unprepared, full of inertia and ultimately lose this space. Can Amazon be counter-played? Of course. How? Alas, I'm far more interested in watching another industry implode as it gives me a useful data point for my own research than I am in helping save them. I'll just warn you what I suspect is going to happen, I'm not going fix it for you nor tell you how to fix it. That's your CEOs job, not mine.